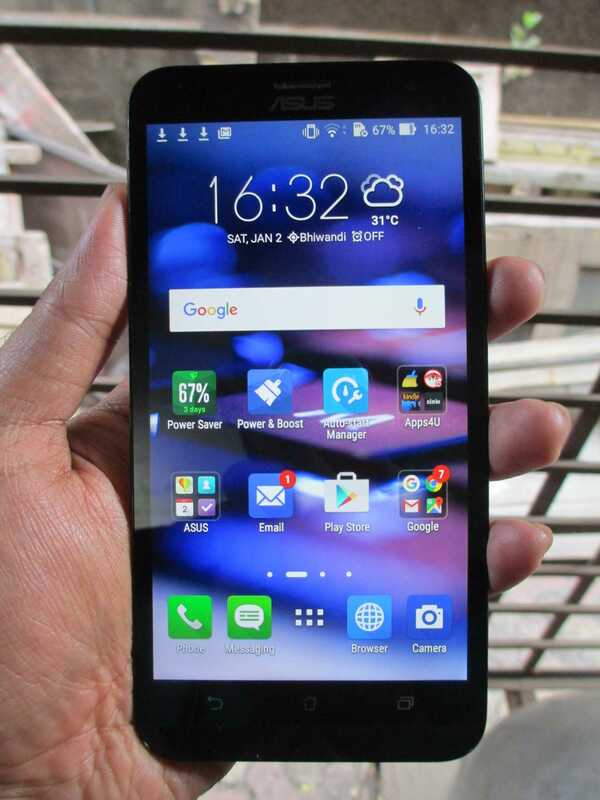 ASUS has introduced some new phones in the Zenfone series viz. Deluxe, Selfie, Max and the Laser. 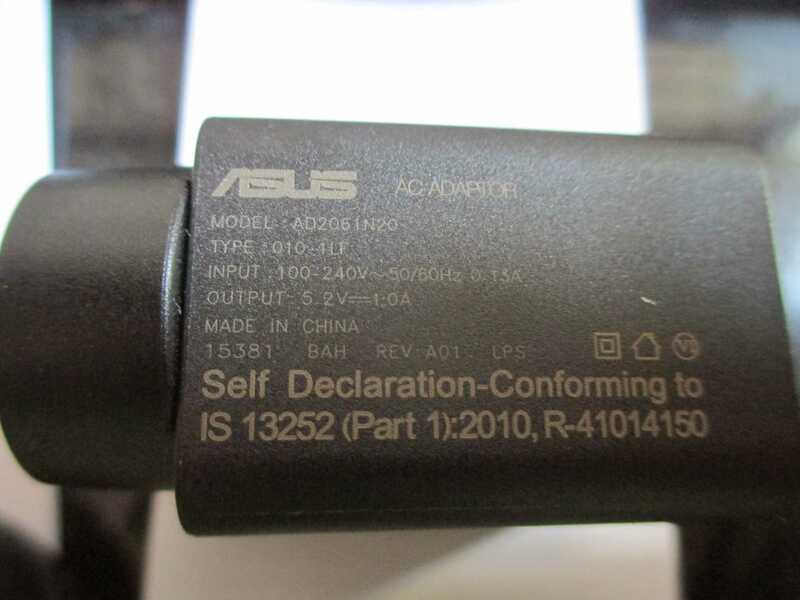 This time we are doing ASUS Zenfone 2 Laser review after the Deluxe model. The first impression of the phone is that it looks tough, a bit heavy, has a big screen, and the back cover feels metallic though its plastic. You can guess that the main feature is the Laser which will help the camera to focus on any particular area. I have written this review after using the phone for a week. 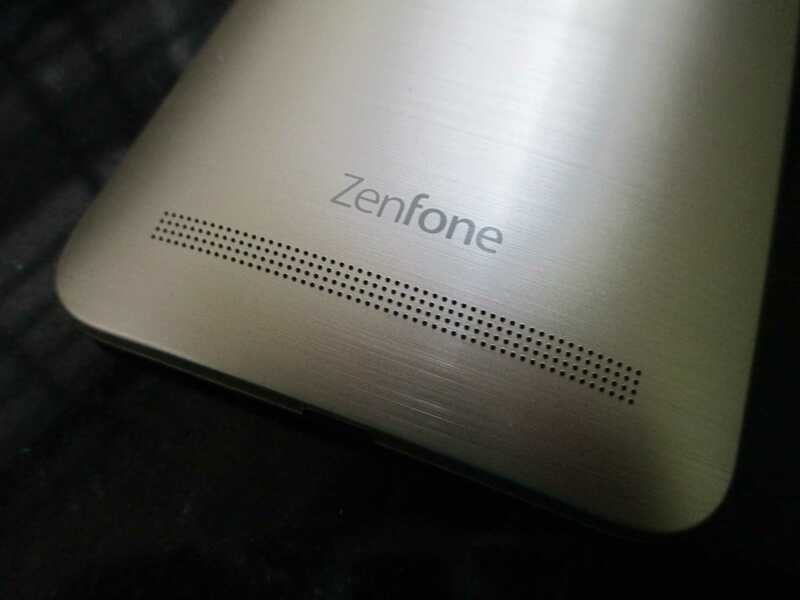 The first looks itself tells you that the Zenfone 2 Laser is made for rough and tough use. The build is pretty strong and the phone is a bit heavy too(170g). 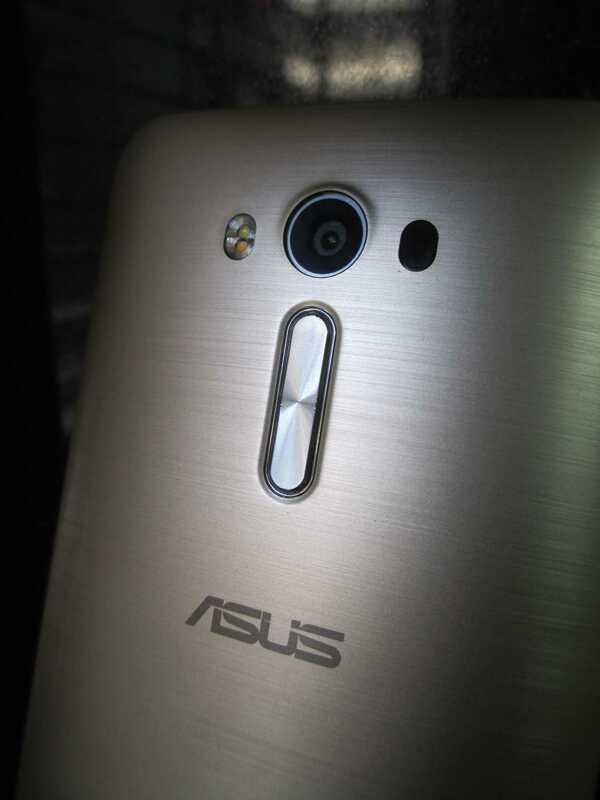 The design is quite similar to the ASUS Zenfone 2. You have a curved back with tapering edges. On the top there is the power button, headphone jack and secondary microphone. The micro USB charging port is at the bottom while the volume rockers are at the back along with speaker grill. There is no port or connection on either of the sides. Again the disappointing thing is the three navigation buttons on the front don’t have backlight support. The power/unlock button is on the top which is a pain so I would recommend that you choose the option double tap to wake. The phone has a removable back panel. Overall I love the design, it gives the phone a premium metallic look and is very clean. 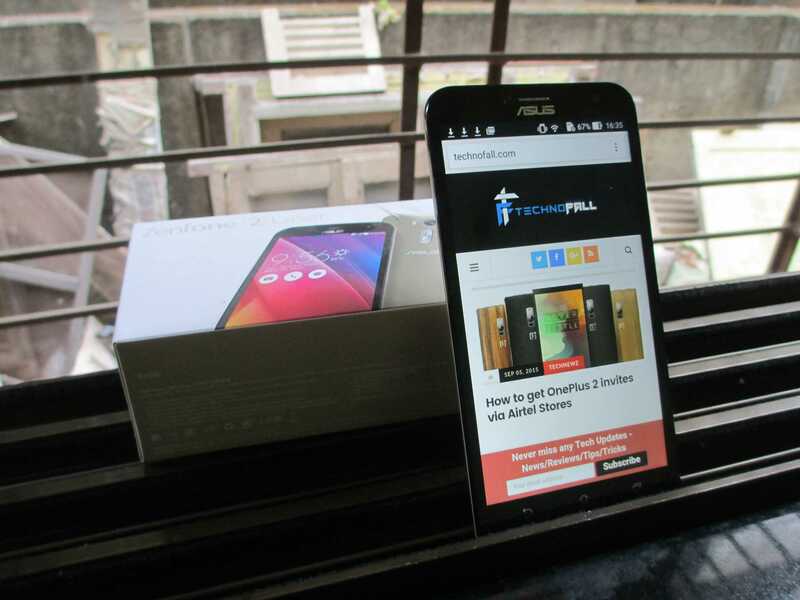 ASUS Zenfone 2 Laser has a 5.5 inch IPS display with a resolution of 1280 x 720 pixels (HD). The viewing angles on this device are great and the screen is protected by corning gorilla glass 4 which is the latest right now. You don’t need to worry about the screen damages and small fine scratches. Being a 5.5-inch device it lacks a full HD display which can be considered one of the drawbacks. The screen to body ratio is 72%. ASUS Zenfone 2 Laser has a Qualcomm Snapdragon 410 quad-core processor clocked at 1.2 Ghz. There is 2GB of RAM in this model(ZE550KL) with 16GB of ROM which can be expanded up to 128GB by using external micro SD card. For handling the graphics we have Adreno 306 GPU. With all this cleared out, I can say that the phone is not the best when it comes to performance. You can’t expect to run high graphics games in this phone. We played some games like Subway Surfer 2, Dead Trigger 2 and Asphalt 8 with no lag. But as soon as I tried to run N.O.V.A. 3 the phone started to show some serious lag and I wasn’t able to play the game smoothly. So you can’t expect high performance from this device. On the software side, the device comes with Android Lollipop 5.0 out of the box along with the ZenUI theme. I like the ZenUI and if that is not the case with you then you can always go for other 3rd party launchers. The app drawer automatically sorts the apps in folder which is something nice and the whole thing looks properly categorized. The device comes loaded with some bloatware apps which you can uninstall or disable if you don’t use them much frequently. There is an app called Laser Rule which makes use of the laser in the device to measure the distance. The device has a 13MP(4096 x 3072 pixels) rear camera and a 5MP(2560 x 1920 pixels) front camera along with Dual-tone LED flash. As discussed earlier we have laser guidance to quickly focus on objects or particular area. Truthfully speaking the Laser is not of much use but the camera quality of this device is best if you consider the sub 10k price range. The best part is the camera app which has so many different modes like the Low light mode, Super HDR, beautification, depth of field etc which can be used to take pictures according to the scenario. Now the volume rocker at the back comes in handy while taking pictures or selfies using the Volume down button. Having a clear and LOUD sound in the latest devices is a rare feature nowadays. But the ASUS Zenfone 2 Laser can play music at sufficiently high level with its soundMaster technology.You also have ASUS AudioWIzard for choosing the type of music mode in different scenarios like gaming and watching movies. Coming to the connectivity part, the phone supports Dual SIM with 4G LTE enabled on both the SIMS. Apart from that we have Wifi, Bluetooth and GPS at our disposal. Now the good news is there is USB OTG support so you can plug in the pen drive too. It all comes down to the battery life and here we have a 3000mAh removable battery. For me on a normal usage the battery lasted for almost 8-9 hrs. You can surely extend the battery life by using power saving modes. It all depends on how you use the device throughout the day. But the drawback is the charger that comes with the device is only rated 5.2V 1A which is very less if we want to charge 3000mAh battery. May be this is the case with my review unit, so you better confirm your charger rating. The device is available on Flipkart and other e-commerce websites for Rs. 9999. It comes in different color variants like Black, Red, and Ceramic White. i wouldn’t recommend this phone for power users who want high performance and high-end gaming. But for those who want a sub 10k device with good camera, decent battery backup, astonishing design and a durable device, ASUS Zenfone 2 Laser must be your choice. Some tough competition to this smartphone are Yu Yureka Plus , Meizu M2 Note and Coolpad Note 3. So this was the ASUS Zenfone 2 Laser review, let me know if you have any questions through the comment section below.